This is the dessert I bring to gatherings when I want to impress people without much effort. So basically this is the dessert I bring every time, ha! It's near impossible to get wrong. And turns out so light, fluffy and decadent that no will suspect how easy it was for you to throw together. The recipe is from my Mamaw Muncy. I don't know if she made it up or got it from someone else but it was a such a treat at our family get togethers. I always think of her when I make it and still remember baking with her in that tiny, old wallpaper-ed kitchen. Make the cake mixes as instructed on the box. I divided all the cake batter into three separated bowls and baked them in a nine inch round pan. There will be leftover batter. Do whatever you want with it, I made a mini cake for Behr with ours. 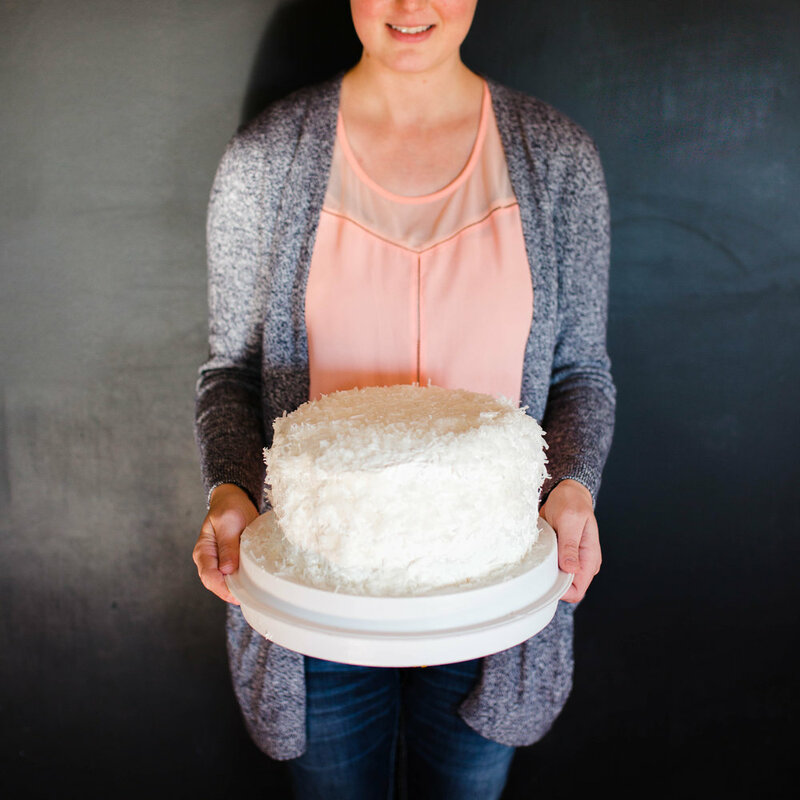 Next, stack the three layers of the cake, making sure to spread icing and sprinkle coconut in between each layer. This is the hardest part as you have to super careful when moving the cake layers around. They're usually pretty fragile. It also helps to shave the top of each layer as you go to make sure it will all be level in the end (feel free to snack on the shavings). Once they're all stacked, spread the remainder of the icing until the cake is covered. Then generously sprinkle coconut all over. Gently press the coconut into the sides to get it all covered. This part is a complete mess but also lots of fun!